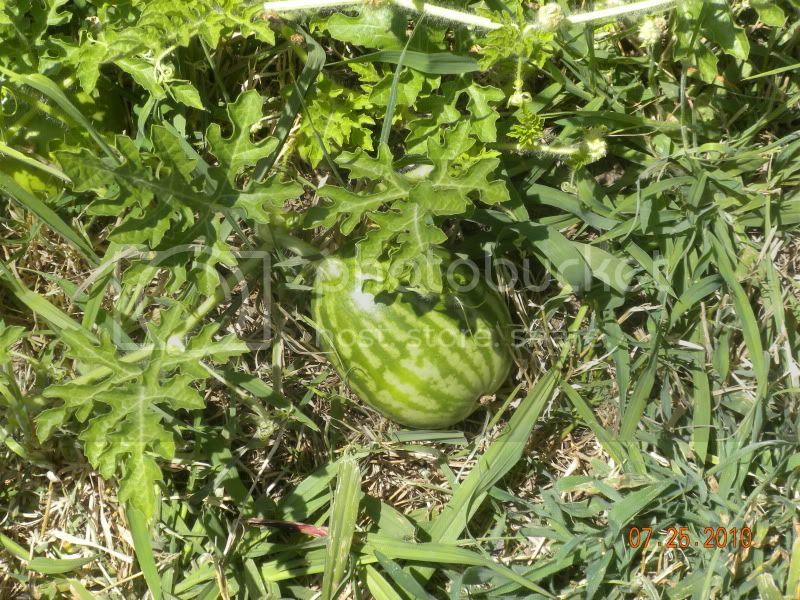 I have watermelons and squash growing and I have heard of putting "hay" underneith the fruit to keep it from getting damp. So I have been online and looking around and (not being of the farming type) I have no idea what the differences are between all these types of hay and such and well honestly I just want to know what the best kind is to get for this? Oh and just because I am posting pics, check out my carrots! Not quite ready but had to thin to make room for all of them! Personally I just put some newspaper or a piece of cardboard under my melons. 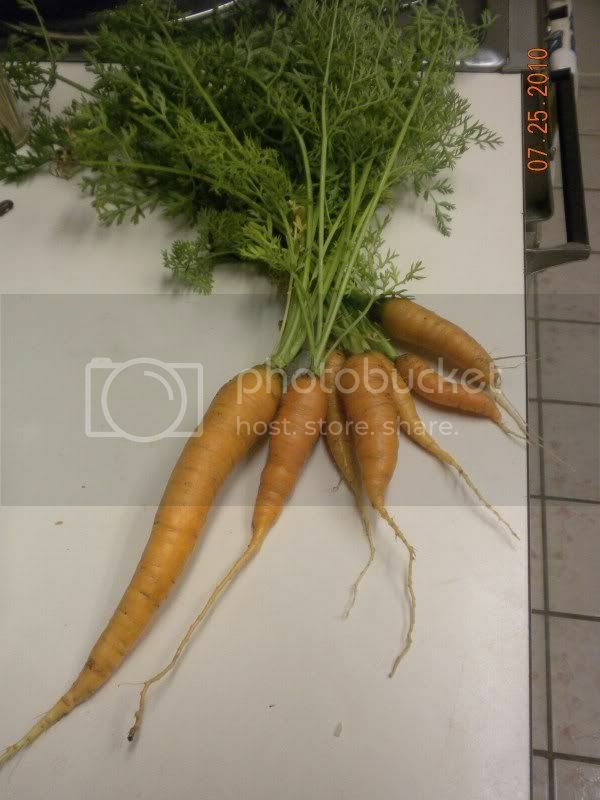 Nice looking carrots! I am so jealous! Something ate most of my carrot greens! you can also place a paper plate underneath the melons. I was wondering the same thing too. My watermelons just started growing right now I have them perched up on some rocks. Not sure if that's ok but I rather them be off the ground then on the moist soil. Nice carrots, I wonder if mine are done. The carrots are a bit green still, they look great but the flavor just isn't quite there. A few more weeks and they should be perfect! Thanks for the compliments! I am beyond excited at the fact that my first garden is producing so many wonderful things!!! And to think I almost gave up!!! I suspect that putting the slug bait UNDER the paper will do wonders. They'll gather underneath so give them something to party on. I would think that some type of rubber or plastic mat would be even better as it wouldn't hold water. In general, hay is the first cutting of a crop (alfalfa, timothy, oat, etc.) and straw is the second cutting. Hay tends to be solid, has weed seed, and breaks down faster--adding nitrogen to the soil. Straw is hollow, has less weed seed, and breaks down slower, some consider it a "brown" in compost terms while others consider it a "green." Personally, I think it depends on the type you get. If I had to choose either/or.....something just makes me want to go with a thick mat of straw beneath the melon. 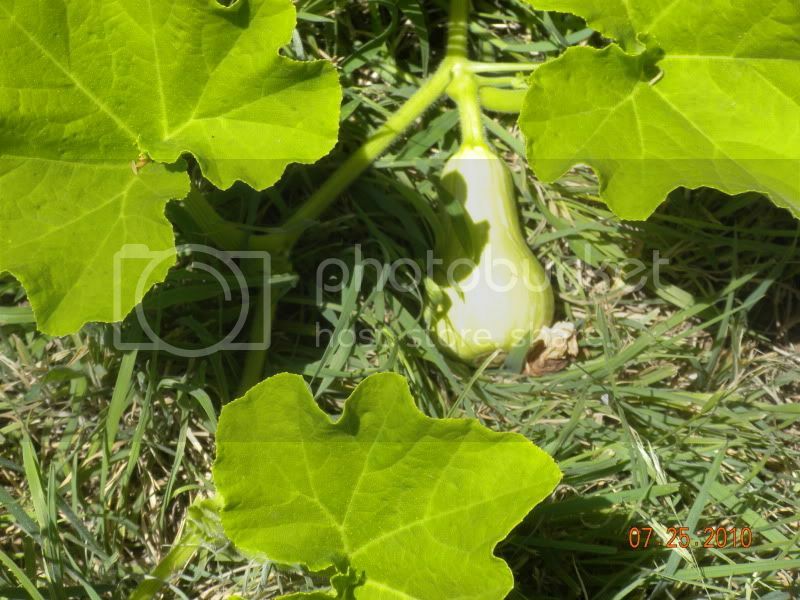 Needing a mat for your squash is always a good problem to have .